Amin Maredia, chief executive officer of Sprouts Farmers Markets Inc., is leaving the company. President and Chief Operating Officer Jim Nielsen and Chief Financial Officer Brad Lukow have been tabbed to serve as interim co-CEOs until a full-time chief executive is appointed. Sprouts said it’s retaining a leading executive search firm to assist in the process of naming a new chief executive. Plans call for Maredia to serve in an advisory role for an unspecified period to help with the leadership transition. Maredia has served as CEO of Phoenix-based Sprouts since August 2015 and has been a board member since February 2016. 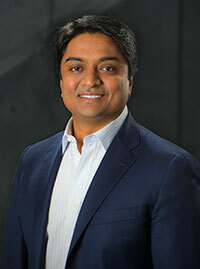 He joined the company in August 2011 as chief financial officer. Before that, Maredia held financial executive posts during more than five years at Burger King Corp., including as vice president of finance for the North and Latin America from March 2009 to February 2011 and as vice president of strategic planning and treasurer from July 2005 to March 2009. Sprouts noted that Nielsen and Lukow bring ample retail and management experience to the table as co-CEOs as the company searches for a successor to Maredia. Nielsen, who joined Sprouts in April 2011 as COO and added the president’s title in August 2015, previously served as president of Henry’s Farmers Markets. Lukow, who has held the CFO post at Sprouts since March 2016, formerly was executive vice president and CFO of Shoppers Drug Mart, Canada’s largest drug chain. “While we search for a new CEO, the board has deep confidence in Jim and Brad to continue executing the company’s strategic initiatives, driving shareholder value and delivering on our mission of ‘Healthy Living for Less,’” Fortunato added. Shares of Sprouts opened Friday down $3.14 at $23.89. As of morning trading, its stock price had fluctuated between $22.37 and $24.05 following a Thursday close of $27.03. “Given the somewhat unexpected nature of yesterday's news and how the market generally doesn't look well upon surprise management changes, shares will likely be under pressure today,” Jefferies analyst Christopher Mandeville said in a research note Friday on Maredia’s resignation. The planned departure of Maredia comes after Sprouts posted solid third-quarter results. For the period ended Sept. 30, revenue rose 10.2% to $1.33 billion, and same-store sales grew 1.5% year over year. Two-year comparable-store sales were up 6.1%, the company noted. Reported earnings per share of 29 cents beat Wall Street’s consensus forecast of 26 cents. For the full 2018 fiscal year, Sprouts raised its EPS guidance and lifted the low end of its sales outlook. The retailer now pegs adjusted EPS (diluted) at $1.28 to $1.30, compared with its earlier guidance of $1.24 to $1.28. The company projects sales to grow 11% to 11.5% for 2018, compared with its earlier forecast of 10.5% to 11.5%, and expects same-store sales to rise 1.7% to 2%. Sprouts said it plans to open 30 new stores in 2019, the same as this year. The retailer currently operates 315 stores in 19 states.